What if hotshoe flashes were studio-sized and ran from the mains? 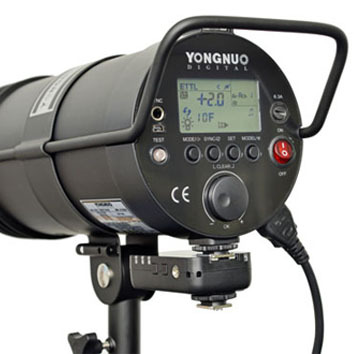 That's what the TTL-enabled Yongnuo YN300W could offer. Call that a flash? This is a flash. 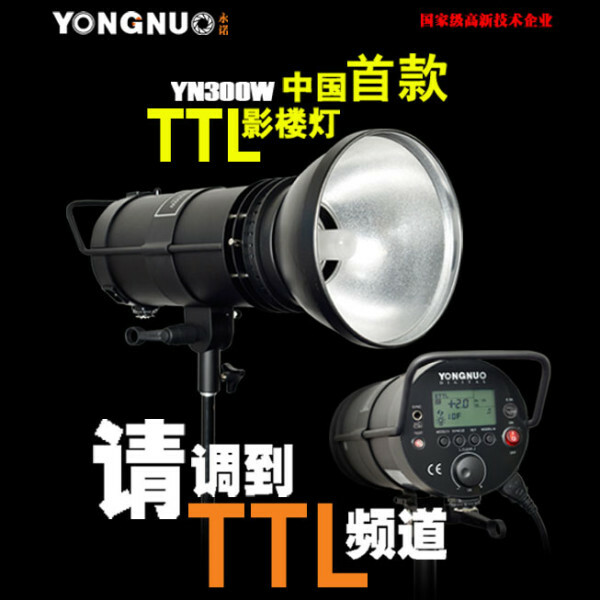 Yongnuo — the Chinese manufacturer known for its affordable flashguns and radio triggers — has announced a TTL studio head called the YN300W. This mains-powered “speedlite” wants to give Profoto, CononMark and Canon a run for their money, thanks to integrated wireless E-TTL support and — uniquely for a monolight — a hotshoe foot. You won’t be sitting this beast on top of your camera, however: the shoe connector is designed so you can plug in TTL radio triggers normally designed for speedlights, including Yongnuo’s own YN-622 system. According to early specs released on the maker’s web site, the Yongnuo YN300W has 300Ws of energy, a 150W modelling lamp and a 1.1-second recycle time. There is a cooling fan built-in and a large LCD control panel on the rear, along with a sync socket, slave cell and USB port for firmware updates. 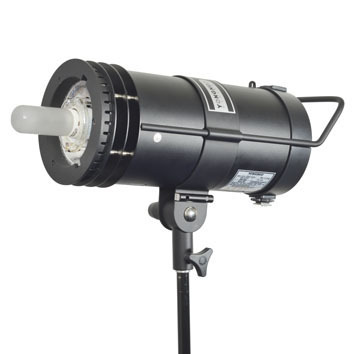 The optical slave supports Canon optical-transmission E-TTL and the hotshoe foot fits radio trigger receivers, meaning this studio-sized flash head supports advanced features such as rear-curtain sync, auto-TTL and flash exposure compensation (but seemingly not HSS). This puts the YN300W up against high-end competition such as the Profoto B1 AirTTL (which is about two thirds more powerful) as well as consumer accessory flashguns (about five times less powerful). You don’t have to use the complicated modes, though. With manual power control down to 1/128 it could also be a highly versatile “dumb” studio head. The S-type accessory mount on the front should accept a whole host of light modifiers. No price or release date have been announced yet, so stay tuned for further information. It should eventually go on sale from the manufacturer’s official store. To see more product pics and the full technical specifications, visit the Yongnuo YN300W product page. What do you think? Does TTL have a place in the studio? Or should it have a battery pack?